Prospective, beginner or intermediate farmers interested in raising poultry flocks on pasture or free-range are invited to attend poultry workshops. The lessons will apply to both egg-laying hens and broilers. UC Agriculture and Natural Resources, the National Center for Appropriate Technology (NCAT) and the Farmer Veteran Coalition have partnered to provide training for military veterans who are embarking on careers in farming, but all farmers are welcome to the workshops. Workshops will be held in Davis, San Diego and Santa Rosa. A four-day workshop covering several aspects of pasture-poultry production will be held Dec. 4-7, 2017, from 9:30 a.m. to 4 p.m., at UC Davis. 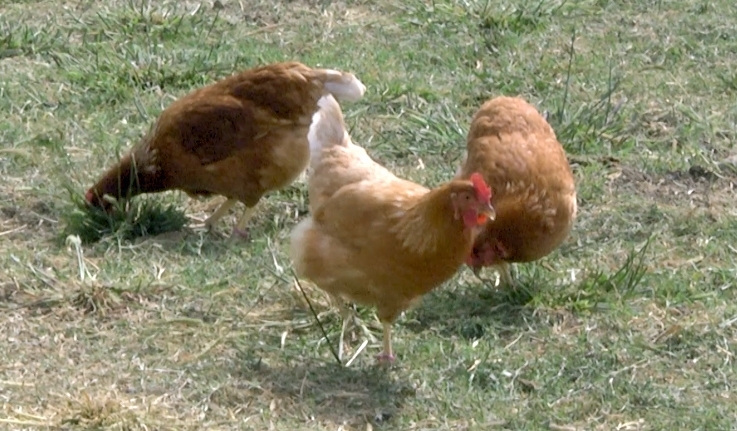 “In addition to the more traditional topics such as flock husbandry, biosecurity, food safety, nutrition or equipment needed, we will discuss records management, marketing options and using mobile apps to capture better data,” said Maurice Pitesky, UC Cooperative Extension poultry specialist in the UC Davis School of Veterinary Medicine, who is organizing the workshops. The poultry workshops will take a participatory learning approach, rotating between presentations, scenario discussions, Q & A sessions and hands-on demonstrations. During the demonstrations, beginning farmers will have a chance to perform health and welfare assessments of laying hens, on-site Salmonella enteritidis testing, egg candling and safe handling. Speakers and facilitators will be experts from UC Davis School of Veterinary Medicine, the National Center for Appropriate Technology, California Department of Food and Agriculture and UC Cooperative Extension. Each day will include 90 minutes of networking opportunities with other beginning farmers. The registration fee is $80 and includes lunch. To register, visit http://ucanr.edu/newpoultryfarmer. Beginning farmers will gain insightful information on successfully raising poultry flocks on pasture, as well as practical expertise, connections with other farmers and professionals in the field, and better awareness and knowledge of resources and opportunities available. One-day workshops are being planned for Jan. 17, 2018, in San Diego, May 16 in Santa Rosa and Aug. 8 in Davis. More information will be available at http://ucanr.edu/newpoultryfarmer. 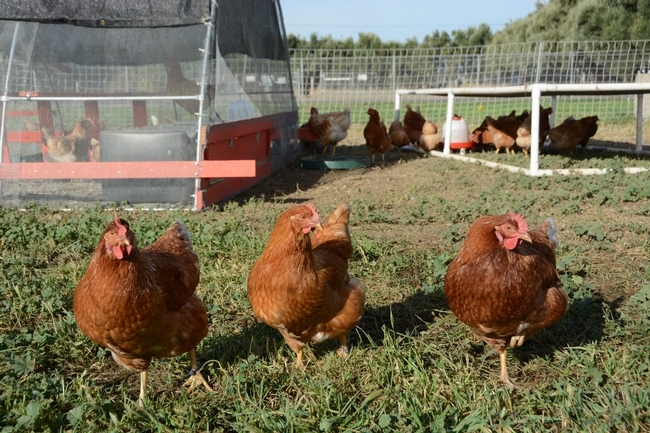 To better communicate with backyard poultry enthusiasts and to protect flocks from disease outbreaks, people who raise backyard poultry are encouraged to participate in a voluntary survey for the UCCE California Poultry Census at http://ucanr.edu/sites/poultry/California_Poultry_Census. If there is an outbreak of the highly pathogenic avian influenza, for example, UCCE will notify participants by email and warn them to keep their birds indoors.